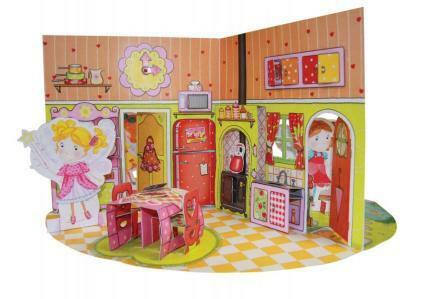 Zarabelle's fairy playhouse is a fantastic pop-out house and mini book. Hours of portable 3D tea party fun in a small 24cm book. 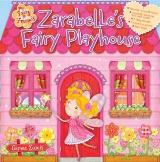 Welcome to Zarabelle’s Fairy Playhouse where stories come alive! 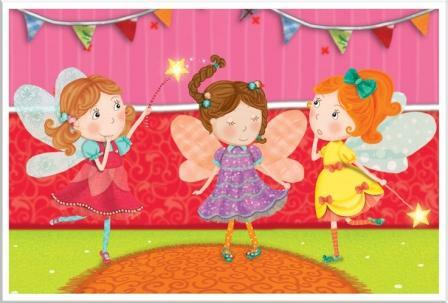 Read Zarabelle’s story and act out her day as she prepares a wonderful cupcake afternoon tea for her friends. 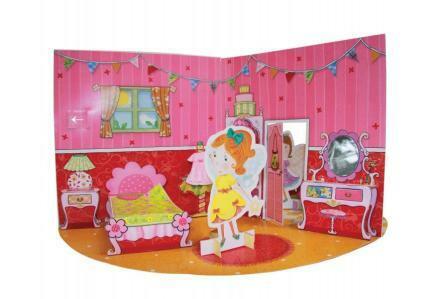 The beautifully illustrated book opens up to reveal over 50 pop out pieces including 3 fairy characters and one dress-up fairy, plus three different scenes to play with and decorate. There is also a mini picture book that children can enjoy as they play along with Zarabelle and her friends.